Prana Yoga KL - New To Yoga ? Yoga (or Hatha Yoga) originated over 5000 years ago, in India. This age old practice consists of physical postures (asana), breathing techniques (pranayama), relaxation and meditation. The goal of Hatha Yoga (or Classical Yoga) is to balance the body, breath and mind, and to be on the path towards attaining inner peace. Yoga is not a religion, and can be practised by everyone, in all walks of life. The practice of yoga encourages us to listen to, and observe our bodies, in a compassionate and non-competitive manner. A regular practitioner of yoga will undoubtedly improve in health, appearance, vitality, strength and flexibility. Yoga is for EVERYONE, EVERYWHERE! The purpose of Yoga is awareness and ultimately, inner peace, through a physical practice. It is not about perfecting poses. You don’t have to be young, flexible, supple or fit to practice yoga. You start from where YOU are at this point in time. Each individual works within his/her own level of comfort and physicality. 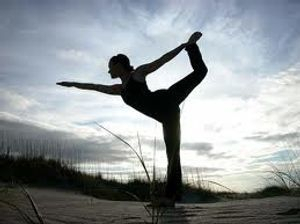 Yoga is non-competitive, and does not discriminate age, gender, race, religion or fitness level. You’re never too old or young to start a yoga practice! for the teacher to understand your physical condition and needs a little better. choose to either do a Drop In Class at RM50, or sign up for monthly class passes for a more regular practice. Payment at our studio is on CASH TERM only. Come dressed in comfortable clothing made of breathable material (like cotton) that will allow you to stretch. Please remove jewelry that will get in the way of your practice (e.g. watch, rings and bracelets) and store them safely in your bag. Men can wear shorts of a modest length, so that there are no ‘surprises’. Bring a towel (yoga can be a sweaty practice, especially in our climate), a bottle of water to keep yourself hydrated, and a yoga mat. Mineral water is also sold at our studio. If you don’t have a yoga mat, you may either borrow one of ours or purchase one. All classes are practised barefoot, so please leave your shoes on the racks provided at the entrance. Please switch off your mobile phone (or put it on silent mode) as soon as you step into the studio. We have shelves for your belongings, so please store your bags and what-nots in the space provided, so that the space between mats are kept clear. Respect other practitioners . If others are meditating, lying on their backs or quietly stretching prior to class, join in and maintain the quiet atmosphere in the studio. Most of our classes are 60 minutes long. Honor your limits, and take rest whenever you feel tired, or a little out of breath, especially if it’s your first time to yoga. Remember to be compassionate to your body and do not overstrain. Ignore what others are doing, focus on your practice. Have no expectations on where the practice is taking you. Just be present, do what you can and enjoy! Breathe fully and deeply at all times. Breathing is most important in yoga - it heats up the body for the practice, and cools it down at the end. Yoga props like blocks and straps may be used to modify your posture or make it more attainable to you. Eventually, as your practice develops, you will ‘weaned’ off the props. Props are available in each studio - please feel free to use them. Your yoga teacher will choose to either verbally or physically adjust you in a posture. If you do not wish to be physically adjusted, please let us know. Some classes may start and/or end with the chanting of “OM”. This is non-religious. OM is the sacred sound of the Universe and chanting OM raises the energy at the start of class, and seals the energy at the end. You may choose to join in the chant, or remain silent. You should never experience pain in class. Differentiate between bad or sharp pain, or ‘good pain’ from a deep stretch. Do not skip the final relaxation. “Savasana” (or Corpse Pose) is the most important posture in yoga, so do make time to allow the breath and body to cool down, restore and relax, instead of rolling up your mat and rushing off to your next appointment. 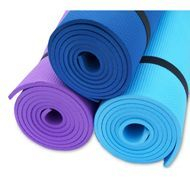 If you have rented our yoga mat, please wipe it down with the Tea Tree infused disinfectant and towel provided, before rolling it up. Please put the mat and yoga props back in their rightful places neatly. Choose a Beginners class (Basic) if you’re new to yoga. Arrive 10 mins prior to class commencement. Wear appropriate clothing, remove your jewelry and keep them in your bag. Bring along a towel, water bottle and a yoga mat (if you have one). Leave your shoes at the door & phone on silent mode/switched off. Eat a heavy meal at least 2 hours prior to class. Arrive late, as the main door will be locked once the class is in session. Push yourself beyond your physical limitations and hold your breath. Leave early and skip the final relaxation pose (Savasana).